With an abundance of healthy eating advice and a seemingly endless stream of diet fads to choose from, consumers can be forgiven for finding themselves a little bewildered about what is and isn’t actually ‘good’ for them. Hoping to end the confusion, Almond is a platform which provides users with one-to-one, personalized guidance from nutrition experts via video chats and an app-based customized nutrition plan. 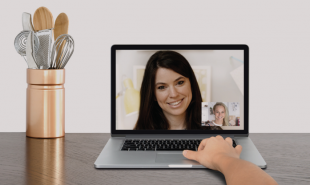 To begin, users sign up for an introductory one-to-one video nutrition coaching session: Almond matches them with a qualified dietician for a 30 minute consultation via smartphone, tablet or desktop. The dietician will then design a personalized nutrition plan for them based on their health goals, lifestyle, medical history and food preferences. This includes weekly meal plans, customized recipes and suggested items at local eateries. Almond suggest that customers have a total of four consultations, approximately every two weeks, and each session costs USD 65 — which is significantly lower than the USD 150 charged by other practitioners. 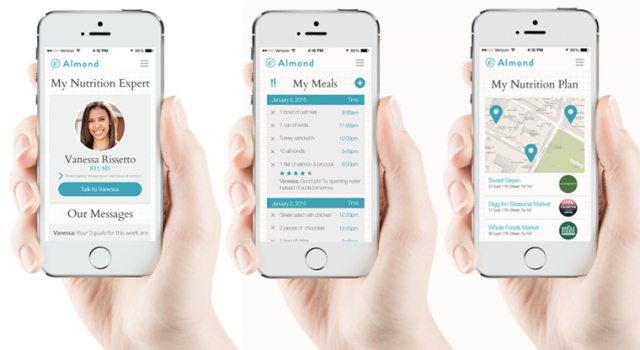 Between sessions, users can track their progress using the Almond app, which helps them to stay on track and enables their nutrition expert to give them feedback on their progress. How else could services provide personlised healthy lifestyle advice to consumers, to help them avoid feeling overwhelmed?